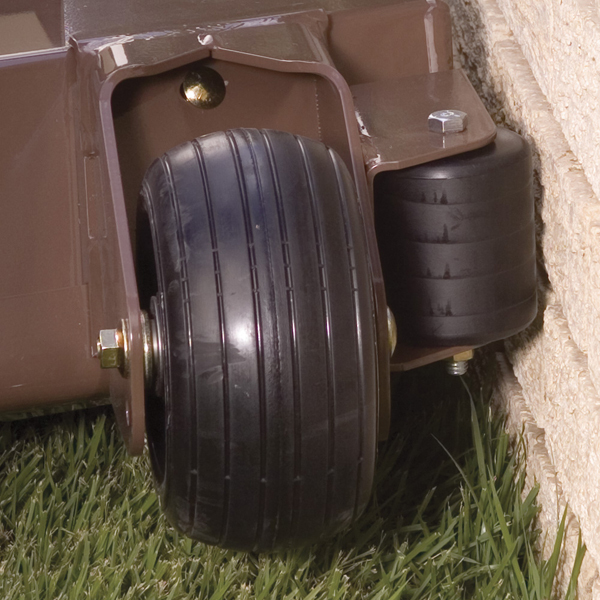 Grasshopper have a range of optional accessories available to make your mowing that little bit easier. Without leaving the seat control the discharge of the mower deck to avoid putting clippings in flower beds and on sidewalks. The Foldable ROPS can be lowered for mowing under low-hanging trees and other overhead obstacles, or for storing and transporting in enclosed trailers with low door clearance. These options are not available on all models. For more information contact us.